I’ll take a freshly baked pig in a blanket over a standard hot dog any day. For years I have been making my own dough to wrap our pigs in a blanket. They are family-friendly and very portable, which makes them a great choice for eating on the go. Today I tried adding a pretzel coating, and as you can see, the crunchy coating was a win! These pretzel dogs are perfect game day food, whether you are watching an event on your big screen at home or tailgating before the game starts. Get your family and guests cheering by bringing out a tray of pigs in a blanket for your next meal or get-together. Dissolve yeast in warm water (but not too hot). Let yeast activate for 4 minutes. In a separate medium mixing bowl, blend together flours and salt. Add water-yeast mixture and oil to flour and stir until a dough forms (or use the “dough” setting on a bread machine). If kneading by hand, knead dough for 5 minutes, until it becomes smooth and elastic. Place dough in a greased bowl, cover loosely with plastic wrap or a damp tea towel, and let dough rest for 15 to 30 minutes. Meanwhile, cut hot dogs in half. Preheat oven to 350 degrees F (180 C). When dough is ready, divide it into 16 or 20 pieces, corresponding to the number of hot dog halves. 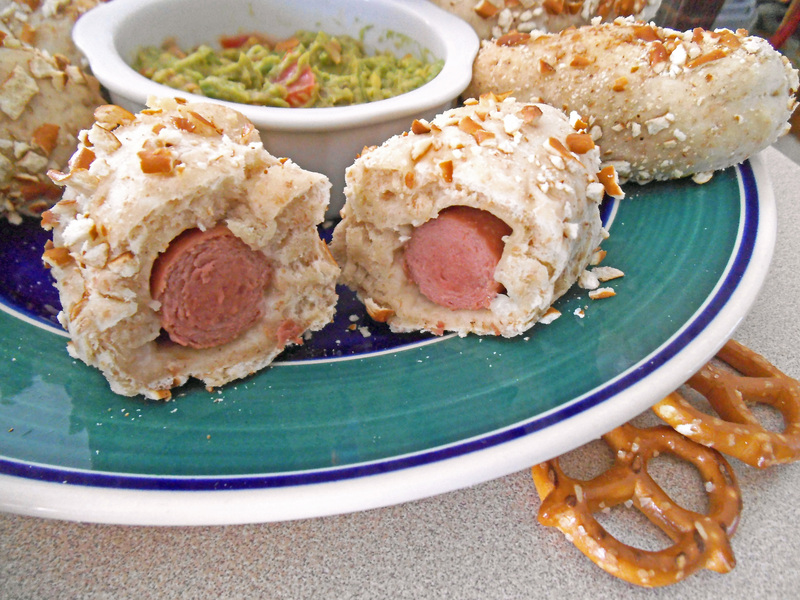 Wrap each hot dog in dough and then roll the dough in crushed pretzels. Place pretzel dogs onto a baking sheet and bake for about 20 minutes, until dough turns golden brown. Remove tray from oven and spread a little margarine on the top of each pretzel dog if desired. 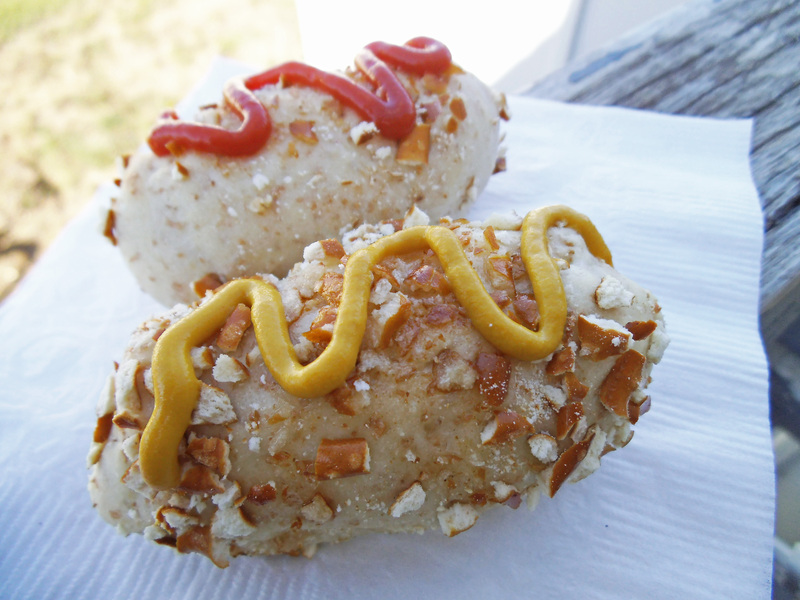 Serve pretzel dogs warm with a side of guacamole, honey mustard, ketchup and/or yellow mustard. I’m sharing this recipe at Tuesday Talent Show and Saturday Dishes. These sound great! I love pretzel buns, so I bet I would love these! These looks so good. 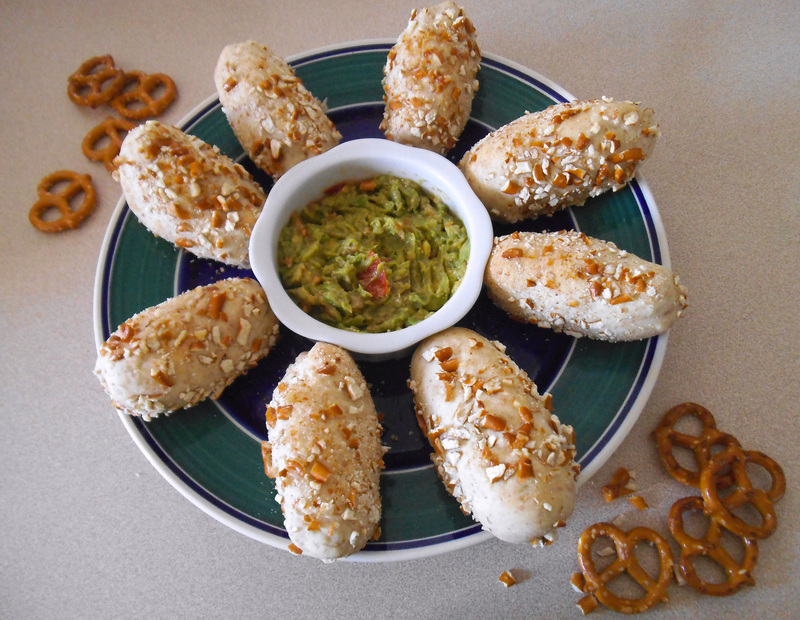 I’ve seen so many great pretzel recipes latesly I’m going to have to make them! Thanks for linking with us! Each week I look forward to seeing what everyone brings for the theme you’ve chosen. Thanks for taking the time to stop by here again! Thanks for linking these to Saturday Dishes. Great idea. These pigs look really good and would be a great football food. Thank you so much for stopping by and linking up at Saturday Dishes.